Copyright 1997 by Carroll & Graf Publishers, Inc. This appears to be a 2000 or later printing from the info on the inside back cover. 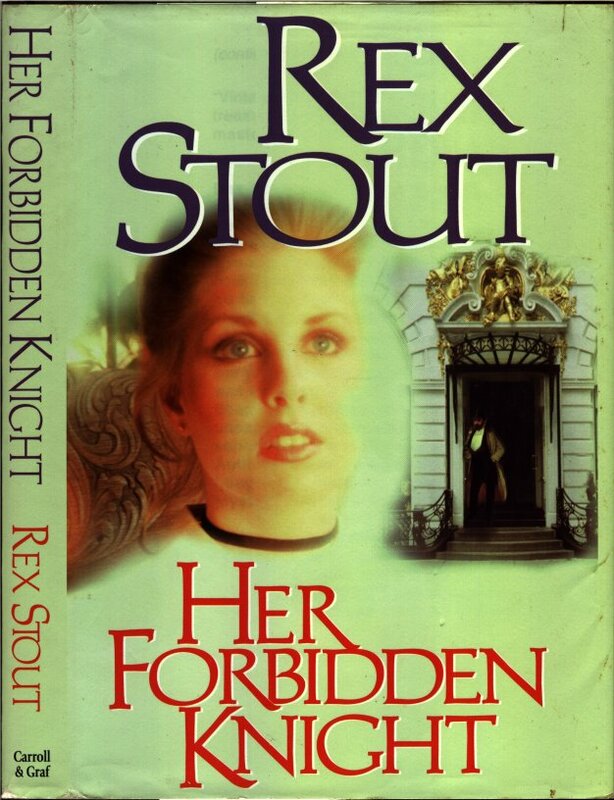 Prefiguring the devices and charades of the celebrated Nero Wolfe mysteries, Rex Stout’s first detective novel follows the fortunes of the pretty, young Lila Williams, a telegraph operator at New York’s swank Lamartine Hotel, as she becomes unwittingly enmeshed in the operations of a counterfeiting ring. For nothing here is quite what it seems, not even the safety Lila thinks she finds in the arms of the man who quickens the beat of her heart. Out of print for decades and only recently available, this rare gem-which also contains “Out of the Line”, a Stout short story in book form for the first time shows the unmistakable Rex Stout style, making it a must for any fan! 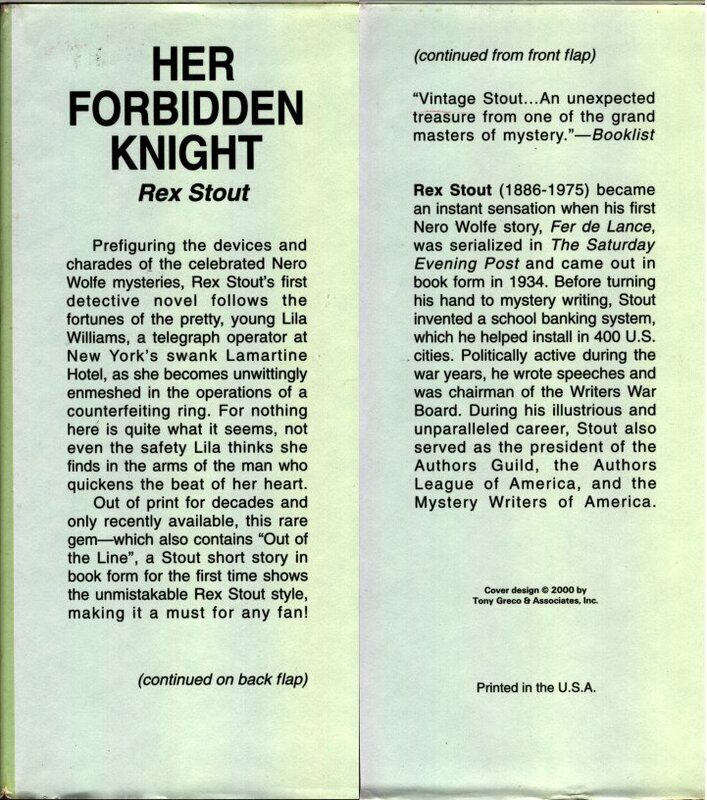 Rex Stout (1886-1975) became an instant sensation when his first Nero Wolfe story, Fer de Lance, was serialized in The Saturday Evening Post and came out in book form in 1934. Before turning his hand to mystery writing, Stout invented a school banking system, which he helped install in 400 U.S. cities. Politically active during the war years, he wrote speeches and was chairman of the Writers War Board. During his illustrious and unparalleled career, Stout also served as the president of the Authors Guild, the Authors League of America, and the Mystery Writers of America. Cover design @ 2000 by Tony Greco & Associates, Inc.